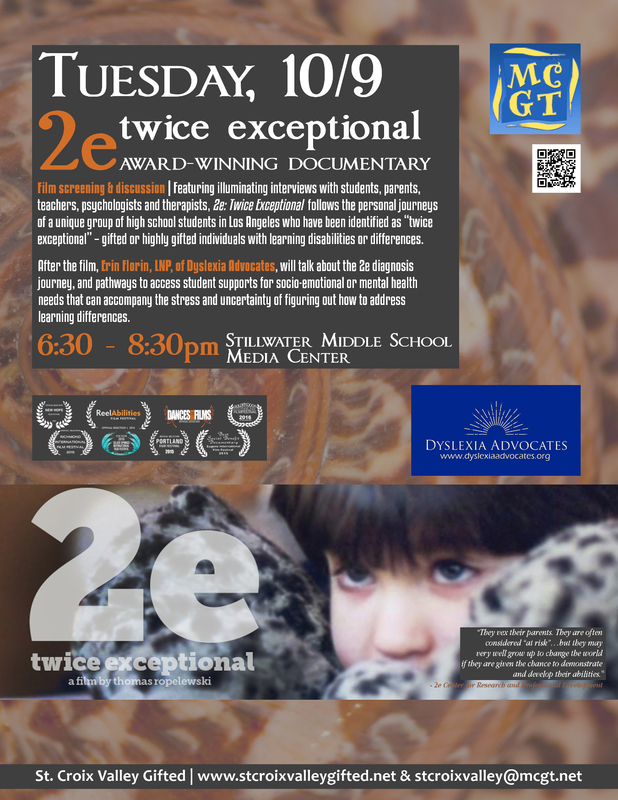 Featuring illuminating interviews with students, parents, teachers, psychologists and therapists, 2e: Twice-Exceptional follows the personal journeys of a unique group of high school students in Los Angeles who have been identified as “twice exceptional” – gifted or highly gifted individuals with learning disabilities or differences. After the film, Erin Florin, LNP, of Dyslexia Advocates, will talk about the 2e diagnosis journey, and pathways to access student supports for socio-emotional or mental health needs that can accompany the stress and uncertainty of figuring out how to address learning differences. We’ll dedicate the final half hour to film discussion and Q&A with Erin. Book | Misdiagnosis and Dual Diagnoses of Gifted Children and Adults: ADHD, Bipolar, OCD, Asperger’s, Depression, and Other Disorders (2nd edition) by James T. Webb, Ph.D., et al. A Practical Guide to Mental Health & Learning Disorders for Every Educator How to Recognize, Understand, and Help Challenged (and Challenging) Students Succeed (Revised & Updated Edition) by Myles L. Cooley, Ph.D.